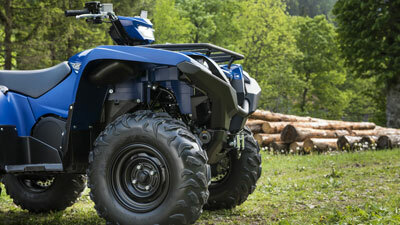 The Yamaha journey starts with the Kodiak. Designed for farmers, foresters and industrial users who need a tough utility vehicle for hard work in tough conditions, the Kodiak 700 delivers superior performance with outstanding value whilst delivering class leading fuel consumption. Powered by a high-torque engine, and featuring a compact chassis with the smooth-running Ultramatic® CVT transmission, the Kodiak is the perfect partner to take on the toughest of jobs. 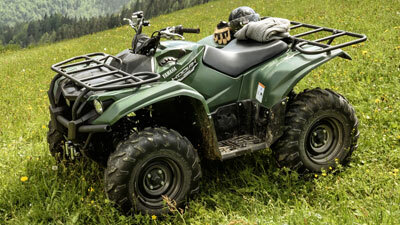 The Grizzly has earned a reputation for being the world’s toughest ATV. Making light work of heavy jobs, the 350 or 700 Grizzly engines with Ultramatic® transmission is the ideal tool for steep hills and climbs, added to great comfort levels and efficiency. Range topping models feature electronic power steering, LED lights, digital instruments and storage compartments. The choice is yours, just make sure you choose Yamaha.